The Black River Hike and Bike Trail is a 3.25-mile gentle paved and gravel trail that winds through the bottomland hardwoods and pines along the Black River below Clearwater Dam. 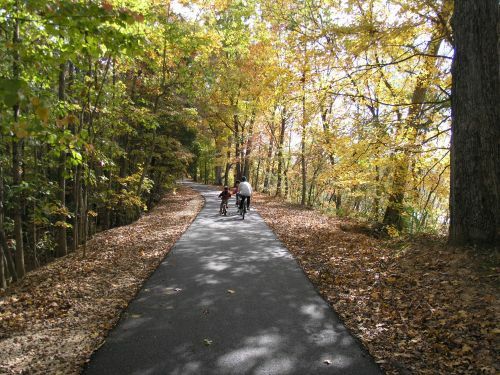 The 10-foot wide trail is perfect for biking, jogging or for taking a leisurely stroll. Location: In River Road Park, near Piedmont MO, west of Piedmont on Hwy HH, north shore of Black River. From Piedmont, MO take highway HH north approximately 6 miles to River Road Park entrance. 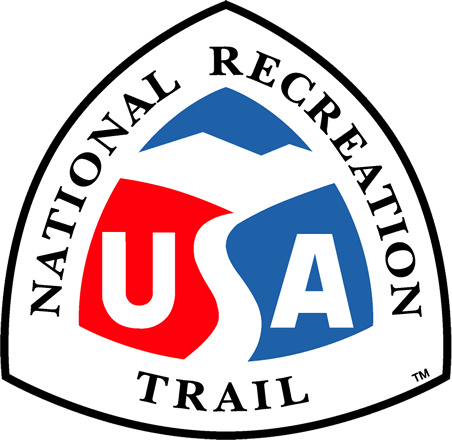 The main trailhead is in River Road Park on the southeast side of the park, but you can enter the trail at four other locations. Watch for the signs on Highway HH below the Dam. One location is just east of Clearwater Store, and the other two locations outside the developed park are in the Overflow Camping Area at the ponds below the dam. Each entry point offers you multiple options from as short as a 1 mile walk to a full 3.25 mile bike ride and any combination in between. We recommend you enter the tail at the overflow camp area off of HH highway between Memorial Day thru Labor Day if it is a weekend or you are not a camper. The entire trail takes about an hour and a half to walk, and there are rest benches along the way. The trail offers a great diversity of scenery. One can see a Great Blue Heron standing in the water willow along the Lower Black River, look at the pine plantation on the interior of the trail, or view work performed by the Clearwater Lake staff to preserve a stand of Giant River Cane, which is required nesting habitat for the endangered Swainson's Warbler. If you walk the trail early in the morning or late in the afternoon, you may see deer, turkey and other wildlife along the way. The Black River Hike and Bike Trail is open daily from sunrise to sunset, and we invite everyone to come out and enjoy it. We ask that no litter be left behind. Remember, the trail is only open to hikers and bicycles. No motor scooters or all terrain vehicles are allowed. Photo by Randall W. Devenport.